Los Angeles County operates the largest jail system on Earth. At a cost of nearly $1 billion annually, more than 20,000 people are caged every night in county jails and city lockups. Conventional wisdom says that incarceration advances public safety by removing violent and serious offenders from the streets – but the data shows that isn’t necessarily true. According to Million Dollar Hoods (MDH), a digital mapping project that uses police data to monitor incarceration costs in Los Angeles, not all neighborhoods are equally impacted by L.A.’s massive jail system. In fact, L.A.’s nearly billion-dollar jail budget is largely committed to incarcerating many people from just a few neighborhoods, in some of which more than $1 million is spent annually on incarceration. Leading causes of arrest in these areas are primarily drug possession and DUIs, and the majority of those arrested are black, brown and poor. The bottom line: the data shows that local authorities are investing millions in locking up the county’s most economically vulnerable, geographically isolated and racially marginalized populations for drug and alcohol-related crimes. These are L.A.’s “Million Dollar Hoods.” Maybe they deserve more. 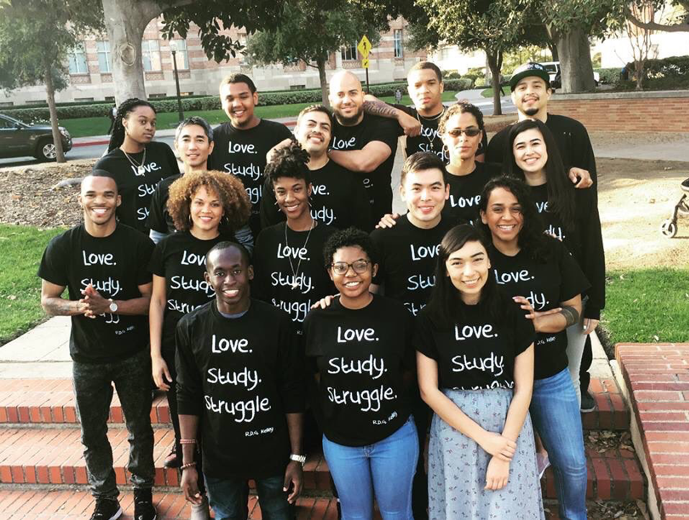 Launched in summer 2016, MDH is an ongoing collaboration between UCLA researchers and local community-based organizations, including Youth Justice Coalition, Los Angeles Community Action Network, Dignity and Power Now, JusticeLA and more. Together, we conceptualized the project, acquired the data and mapped it, making a wealth of data broadly available to advocates and activists who are pressing local authorities to divest from police and jails and invest in the community-based services needed to build a more equitable community: namely health, housing, employment, and educational services. To date, the MDH maps and reports have received significant media coverage and are being marshaled by advocates to advance a variety of justice reinvestment campaigns. Our research on cannabis enforcement shaped the development of the city’s social equity program. The U.N. Special Rapporteur on Extreme Poverty references our research in his report on the criminalization of homelessness in America. Our report on the money bail system was the first to document how the money bail system amounts to asset stripping in Black and Latino Los Angeles. Professor Kelly Lytle Hernandez (History/African American Studies) leads the Million Dollar Hoods project. Her research team is comprised of an interdisciplinary group of UCLA staff and students, including Danielle Dupuy (School of Public Health), Terry Allen (Graduate School of Education), Isaac Bryan (Luskin School of Public Policy), Jamil Cineus (Institute for Digital Research and Education), Marcelo Clarke (African American Studies/Sociology), Chibumkem Ezenekwe, Luz Flores (African American Studies), Oceana Gilliam (Luskin School of Public Policy), Harold Grigsby (African American Studies), Andrew Guerrero (International Development Studies), Sofia Espinoza (Luskin School of Public Policy), Yoh Kawano (Institute for Digital Research and Education), Albert Kochaphum (Institute for Digital Research and Education), Ricardo Patlan (Political Science), Alvin Teng (Luskin School of Public Policy), Taylore Thomas (African American Studies), and Estefania Zavala (Luskin School of Public Policy).